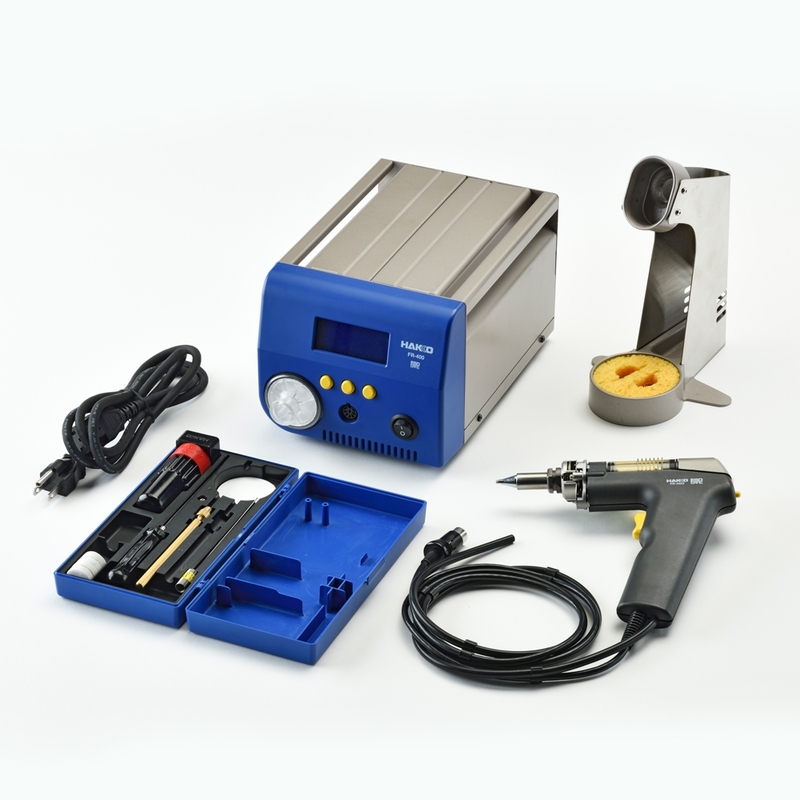 The Hakko 300W FR-400 Ultra heavy duty desoldering station is specifically designed for the difficult rework of extremely large mass components where a significant amount of thermal inertia must be overcome. 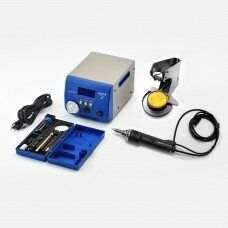 An excellent tool for desoldering the most challenging solder joints. 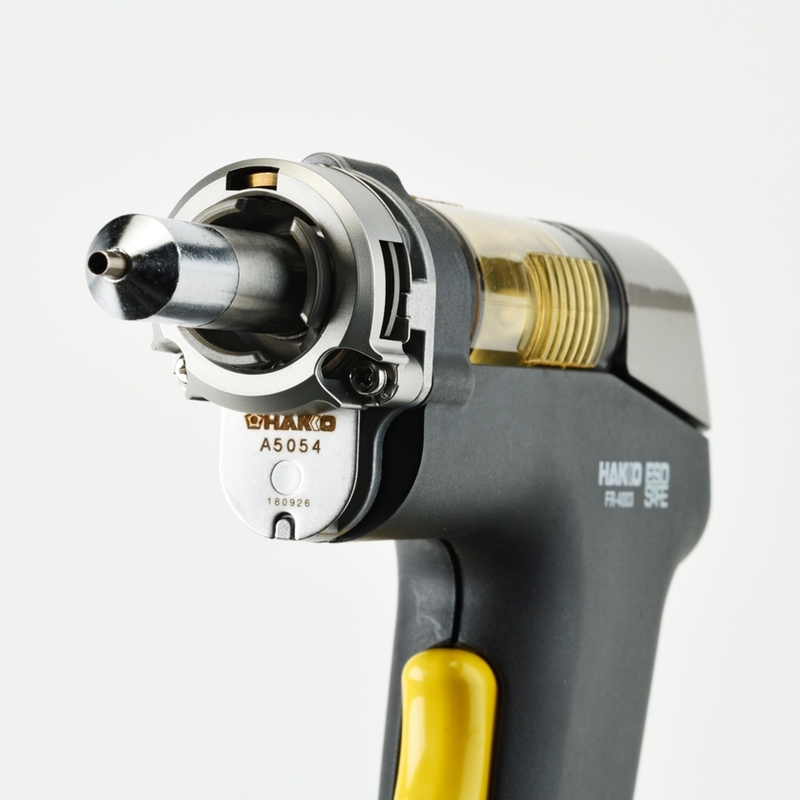 Now with a more efficient nozzle quick-change capability! 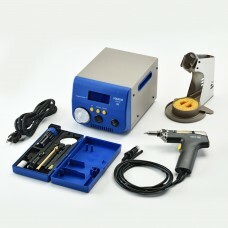 B5229, FR-400 Oval Nozzle Jig Oval Nozzle Positioning Jig for the FR-400 Ultra Heavy Duty (UHD) Desoldering Station. 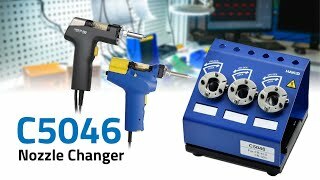 C5045 FR-400 Nozzle Quick Changer Easily change your FR-400 nozzles with just a twist on the Nozzle Quick Changer. 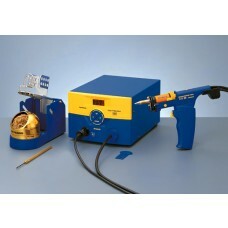 B5221, FR-4003 Enclosure Pipe Assembly Enclosure Pipe Assembly for the FR-4003 desoldering gun handpiece. 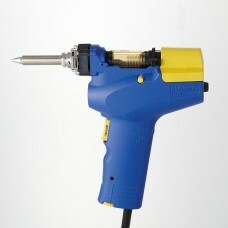 B5223 for FR-4003 Joint cover for the FR-4003 desoldering gun handpiece. 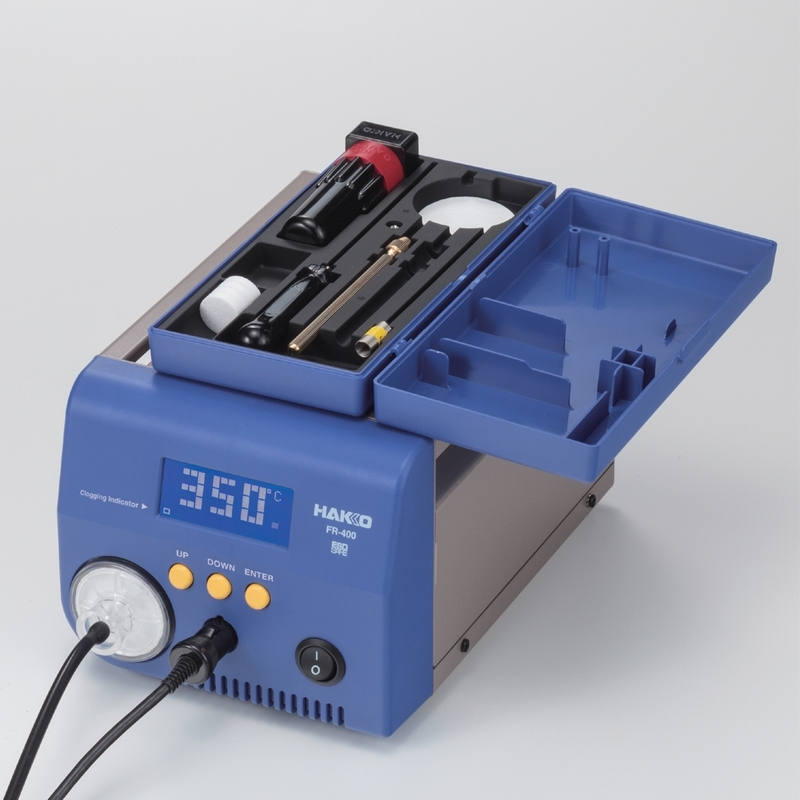 B5225 for FR-4003 Motive joint for the FR-4003 desoldering gun handpiece. 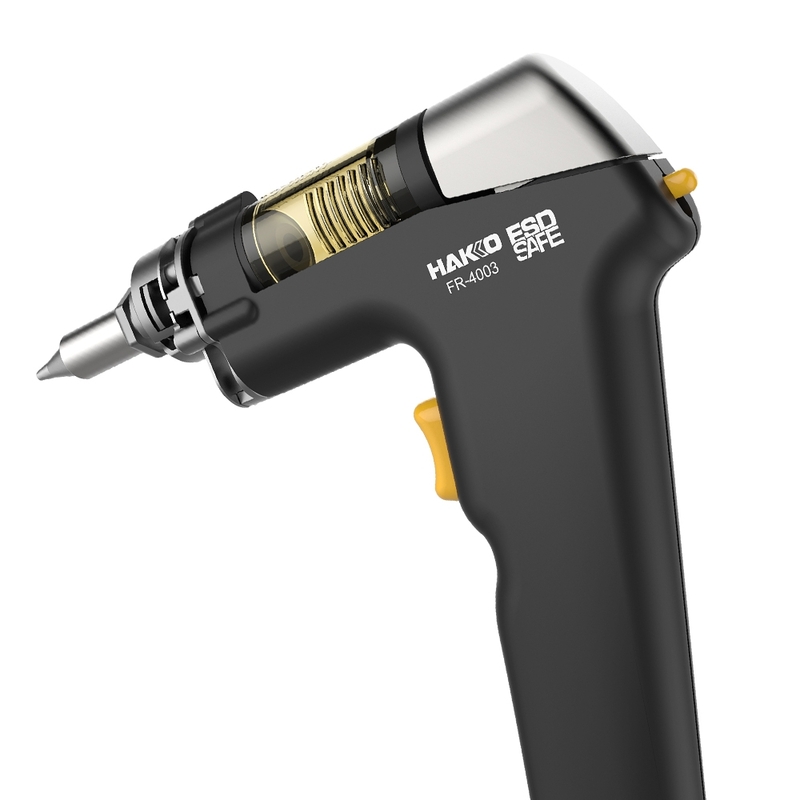 B5226 for FR-4003 Wave spring for the FR-4003 desoldering gun handpiece. FR-4003 Heating Element Heating element for the FR-4003 desoldering gun handpiece.